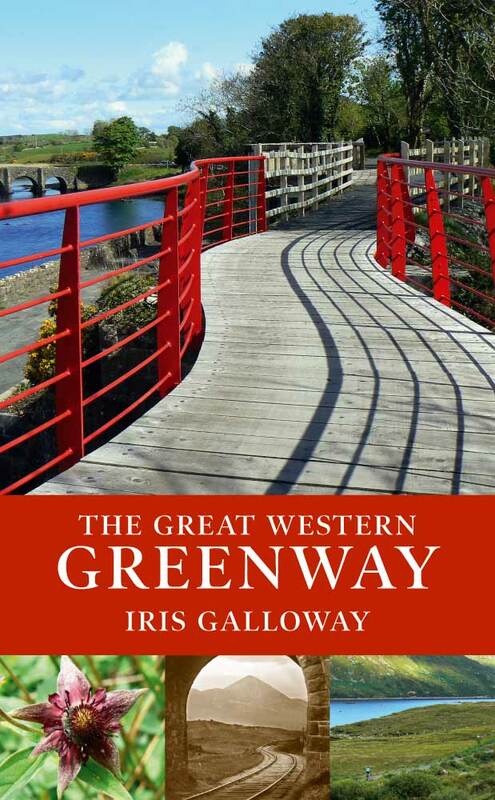 Iris Galloway, in her guide to the The Great Western Greenway – ‘the longest off-road walking and cycling trail in Ireland’ – expresses the hope that her book will enhance the experience of this unique trail for walkers and cyclists. She succeeds admirably in her aim by welding together history, folklore, rich information on the biodiversity of the area, and practical advice for the visitor. All of this is capped off by the stunning visual production comprising archival photographs, vibrant maps and superb contemporary colour photography. The Greenway, of course, is situated on the tracks of the former Midland Great Western Railway line, the seven-decade history of which is book ended with tragedy. We get an overview of this history, alongside rich and sometimes humorous anecdotes about the railway, and vivid detail on the railway line infrastructure as well as the natural life along the trail. There is detailed information on each of the three section of the trail from Westport to Newport, to Mulranny, to Achill Island. Head for the Greenway with this wonderful book to hand.